The $132 million project will provide separated through lanes by the summer of 2022 for southbound drivers going beyond Virginia Route 3 and U.S. Route 17. 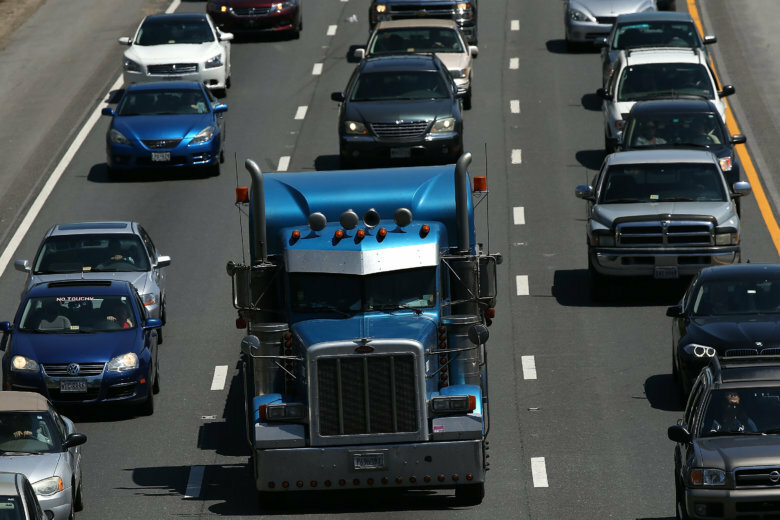 WASHINGTON — Major construction began this week to widen a frequently congested stretch of Interstate 95 near Fredericksburg, Virginia. The four-year $132 million project will build three new southbound lanes over the Rappahannock River by the summer of 2022. A similar northbound span that had been canceled will now be built later as part of a deal tied to the extension of the 95 Express Lanes 10 miles south to just north of U.S. Route 17, but that project remains in development. The new span will provide separated through lanes for I-95 drivers going beyond Virginia Route 3 and U.S. 17, with existing lanes serving local traffic getting on or off at the two exits. The changes are meant to reduce weaving and congestion-related delays, said Kelly Hannon of VDOT’s Fredericksburg district. “Coming south … you’ll have the choice: Do you want to get in the [new] southbound Rappahannock River crossing lanes, or are you going to be exiting at Route 3 or Route 17? So we do have a very extensive sign plan that will communicate all of this to drivers as they are traveling down the interstate,” Hannon said. The toll lanes will end before this area, connecting to the new spans that will be free and open to all traffic. The toll lane extension is also expected to open around 2022. For now, construction work on the southbound span will close the left shoulders on both the northbound and southbound lanes of the highway. Crews are also expected to begin clearing trees in the median near the river later this month. No lane closures are planned during rush hours, but lanes are expected to be closed in the area overnight and possibly other times through 2022. The work zone is more than 4 miles in length, from just north of Exit 133 in Stafford County after Centreport Parkway to just south of Exit 130 in Fredericksburg. As part of the project, entrance and exit ramps between I-95 and Route 17 will be changed, and the I-95 overpasses above Route 17 will also be replaced. The work is in addition to other overnight paving work and lane closures, including for new interchange projects such as Exit 140 in Stafford.